Starlight Mints are a group of beautiful pop mutants: four singular musical minds whose love for archetypal pop music and AM radio has provided, over the course of three previous acclaimed albums, a rock-solid foundation for a whole bunch of inspired uniqueness, all baked to perfection under the hot Oklahoma sun. 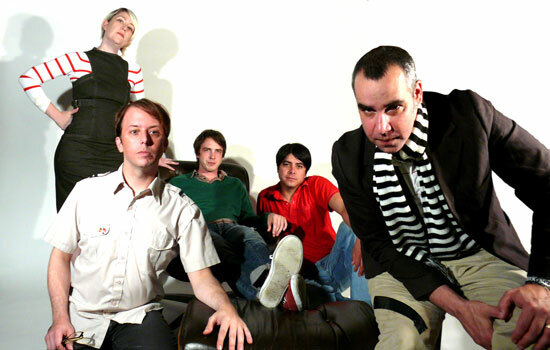 Allan Vest (vocals/guitar), Marian Love Nunez (keyboards), Javier Gonzales (bass), Andy Nunez (drums), and Ryan Lindsey (keyboard / guitar) began jamming together in the '90s, giving birth to their own unusual brand of instrumentally complex, surrealistically worded pop sound. Their latest creation, Change Remains, is out now.